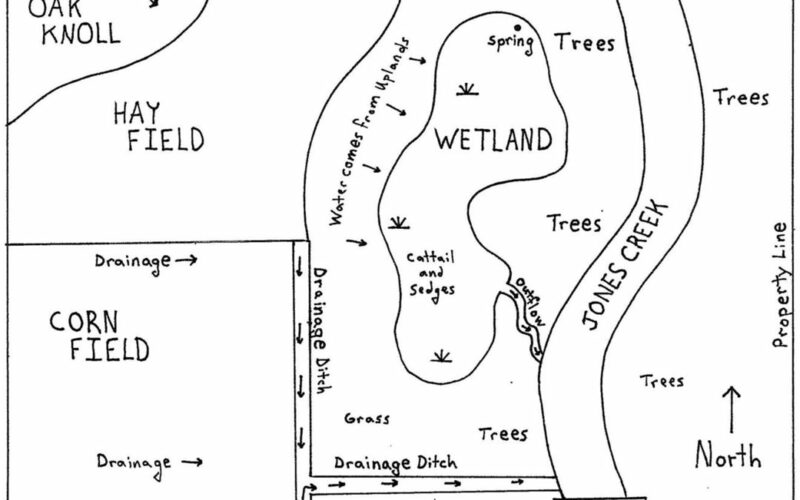 Making a map of your wetland is a great way to gather together all the information you have about your wetland in one place. These days, broader availability of aerial photos and other resources makes mapping much easier. 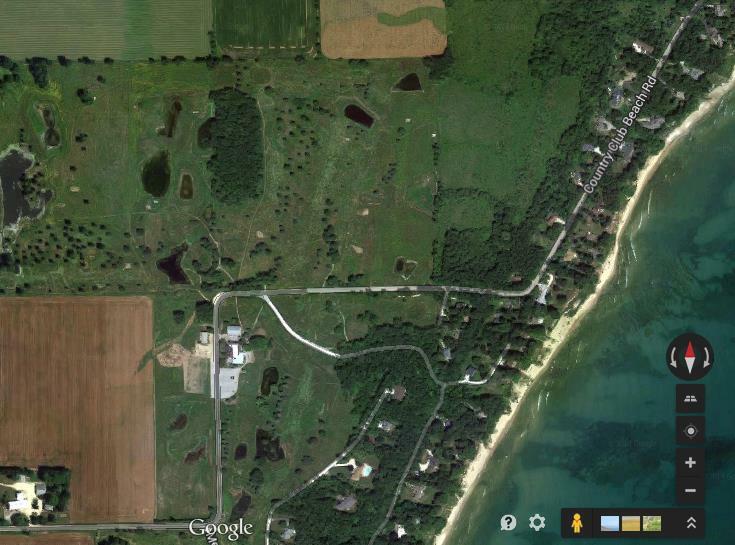 Many landowners like to start with an aerial photo as a base map. An aerial photograph is a picture of the Earth’s surface taken with a specialized camera mounted in an airplane. Local, regional, state, tribal, and federal government agencies, as well as private companies, have made major investments in collecting aerial photography. Where can I find an aerial photo of my wetland? For a simple bird’s eye view of your land, search for your property’s address using Google Earth, Google Maps, Bing Maps, or another online mapping tool. If you are interested in more online mapping information, the Wisconsin State Cartographer’s Office is a good place to start. The Office offers free online and phone services to help the general public find and understand map resources. The State Cartographer’s Office’s website connects you with aerial photos and topographic maps, including local government mapping websites. If you would like help obtaining hard copy aerial photos and topographic maps, contact your local Natural Resources Conservation Service office, your local Farm Bill Biologist, or the USFWS Partners for Fish and Wildlife Service office in Wisconsin at 608-221-1206. You can also call the Wisconsin State Cartographer’s Office at (608) 262-3065. What details should I include in my map? Actions you’ve taken, including invasive species control, photo points, benches, wildlife blinds, etc. Update your maps when you discover new information.